ABC10's Rob Carlmark. Photo by ABC10. Rob Carlmark is ABC10's Morning Meteorologist. 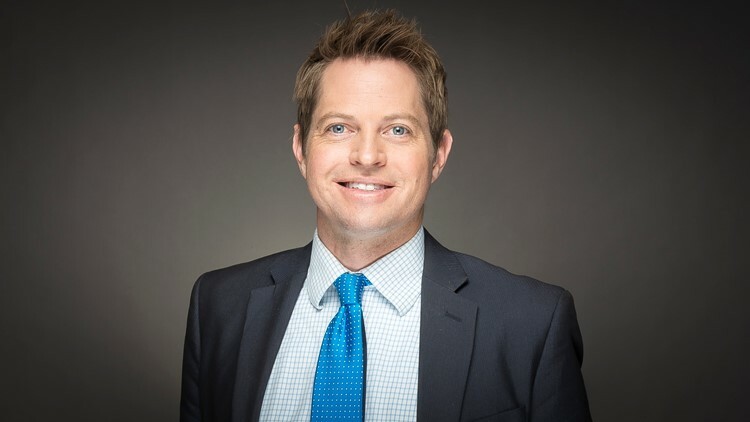 Rob Carlmark is an anchor at ABC10 Sacramento, Calif., specializing in meteorology. Rob is ABC10's Morning Meteorologist. He is originally from Southern California and grew up in Alta Loma near Los Angeles. He is stoked to be working in his home state again. Rob has worked on California's Central Coast, Mississippi, Montana, and most recently Phoenix. Rob's love of weather came from a life surfing and skiing and trying to figure out where to be on the best days for waves or powder by forecasting the weather. He has seen and experienced almost everything from severe storm chasing in the Midwest, 25 below zero temperatures to 118 degree heat, blizzards, and haboobs (violent dust storms). Rob carried that love of the weather through UC Santa Barbara, University of Otago in New Zealand, and Mississippi State. He currently holds a seal from the National Weather Association, and is a member of the American Meteorological Society. Rob has won multiple awards over the years including two Emmys, an RTDNA Edward R. Murrow award, Mark Twain award from the Associated Press and three Golden Mikes from the RTNA of Southern California. You can email Rob at rcarlmark@abc10.com, follow him on Twitter at @rcarlmark and like him on Facebook at Facebook.com/Rob-Carlmark-Weather.